Andy Duvine, an adventurer, wine connoisseur, ambitious cyclist, and curious traveler first met Carlton McCoy, resident Sommelier and Wine Director at The Little Nell in Aspen, in 2012. 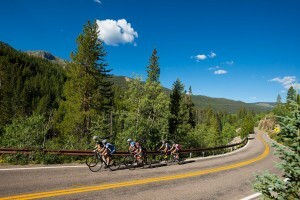 That’s the year Duvine began bringing guests to the hotel for a USA Pro Cycling Colorado Bike Tour and the two became fast friends. Following is an excerpt from Andy’s blog, DuVine.com, with a colorful Q&A with Carlton. Q: What has been your greatest inspiration to become a Sommelier? How did you get to where you are? A: The people that I have worked with. Andrew Myers was the first person to introduce me to the wine industry. After Andy, Jay Fletcher was by the far the next greatest influence. Working under people that you admire and look up to is important in almost any industry, but especially in the wine industry. Without them, I wouldn’t be where I am. Q: Do you remember the first time you had a glass of wine? A: I do! I didn’t grow up around wine. To this day, I may be the only person in my family that drinks wine. So for me, exploring wine was like exploring a different country. My first real glass of wine, was at The Culinary Institute of America during my wine course. I was so enamored by the whole culture. 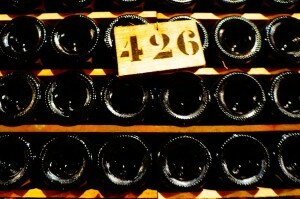 Q: You earned the title of Master Sommelier in just over five years. Tell me about the sommelier training and testing. What was it like? How did it change you or your perspective on wine? A: I took a very aggressive approach. I put everything else on the back burner. My whole life. I had no hobbies and a failing long term relationship. People have to know that this is what it takes to be successful. With all that said, I loved the process. I loved being surrounded by like-minded, ambitious people. I think going through the CMS [Court of Master Sommeliers] has helped to expose me to every wine region in the world. It helped me to craft my own opinions about wine and the industry as a whole. Read the full interview on the DuVine blog.